has been championship runner-up three times. 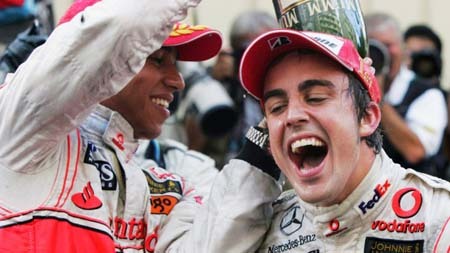 another layer to Formula 1’s rich history." 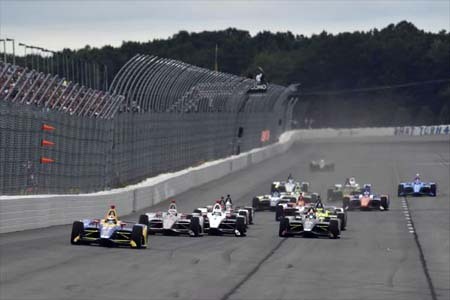 leave room for a run in IndyCar. running in the leading pack. 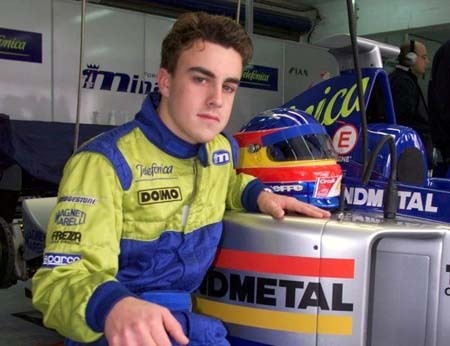 target before his new deal with Ganassi. 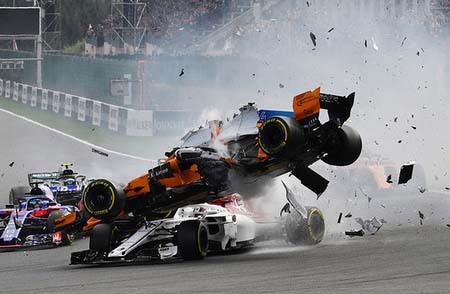 McLaren ended that partnership for the 2018 season. McLaren’s entry was in progress. 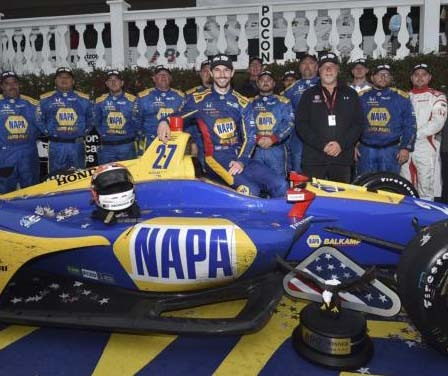 throughout the championship in 2019,” said Miles. ments in place, and we are supporting their efforts. session on Saturday before Qualifying. Will Power captured his 53rd pole, tying A.J. Scott Dixon would start way down in 13th. Graham Rahal hitting the rear of Spencer Pigot's car. for the contact and finished the race 4 laps down. 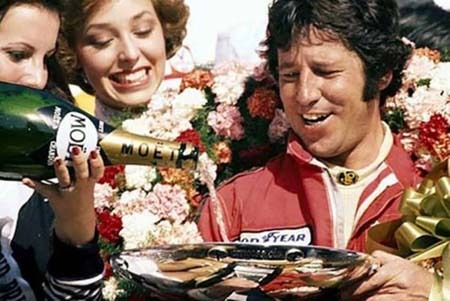 Fittipaldi came along and slammed into him. behind the wheel for the restart. laps. Scott Dixon worked his way up and finished 3rd. 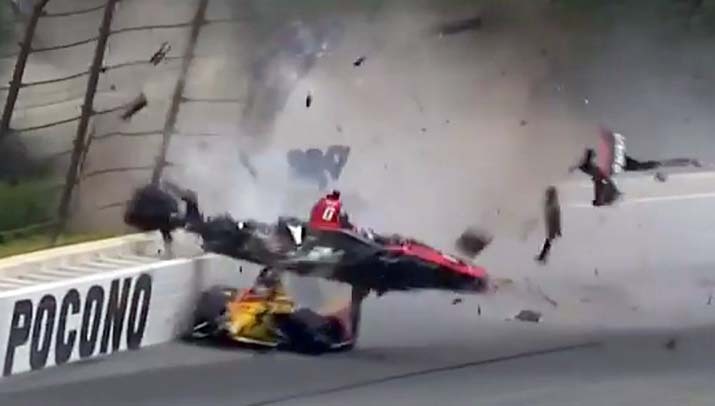 Wickens' wreck was a chilling moment again at Pocono. undergoing surgery Monday evening for a spinal injury. his lower extremities and right forearm. He remains in stable condition. Update Aug 24 - Surgeries were performed late this week on his right arm and lower extremities without complication. 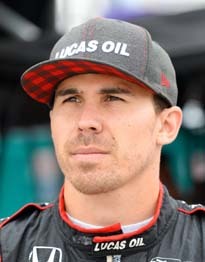 Wickens also underwent a series of precautionary tests that found no indication of further injury. Update Aug 25 - Wickens is now breathing on his own and has spoken to family. 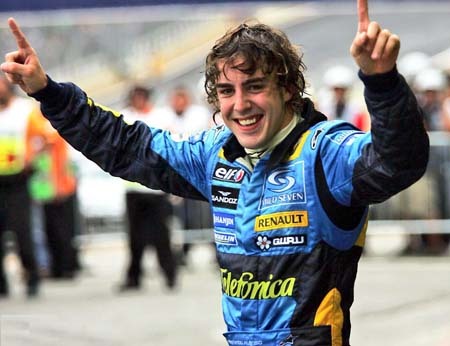 St. Petersburg - He was robbed of victory by dirty driving from Alex Rossi. Phoenix - His first oval race! 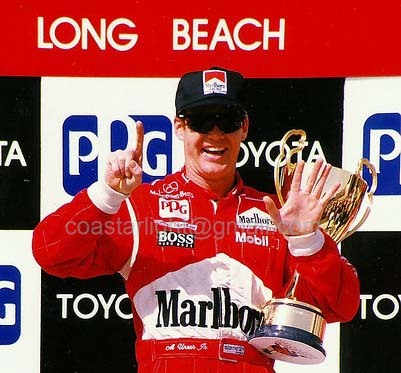 Long Beach - Only completed 73 of 85 laps. Birmingham - This wet race was ran over two days. departure wasn’t much of a shock. with 6 wins in 8 years! The 2019 Grand Prix is set for April 12-14.
or or any of the management at Red Bull. motivation" after feeling "frustrated and a bit numb"
following so many years within Red Bull's set up. 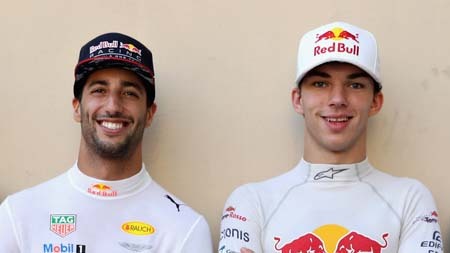 feeder team — in 2012 and joined Red Bull in 2014. 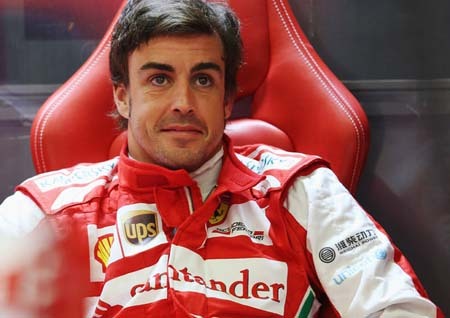 The 29-year-old has won seven races for Red Bull. the season and switch to Honda. 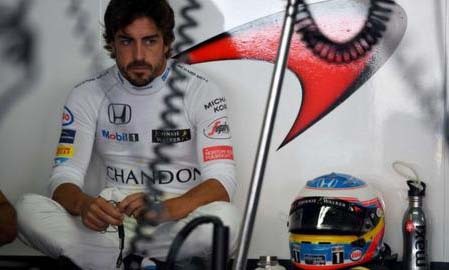 fourth, at the Bahrain Grand Prix early this year. Red Bull is in 3rd and Renault is in 4th. in7th and Gasly is 13th. Laren in the rear, launching the car into the air. 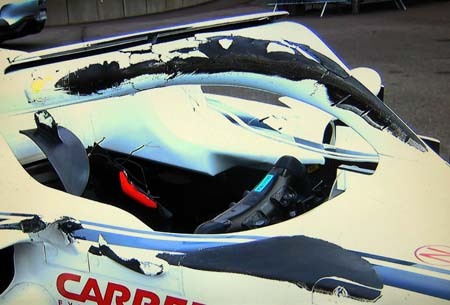 It came down on top of Charles Leclerc's Sauber. endured from a 1500 lb car slaming down on it. 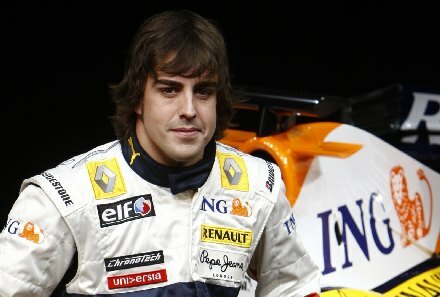 in this case, the entire McLaren MCL-33.